The first flexible stone a woodworker is able to process. With our real RAPHA Stone exciting new design possibilities are available for architects and interior designers. Innovative lightweight core materials such as wood-composites or honeycomb panels are waiting for your imagination. Especially exciting is the natural combination of Stone and Wood. 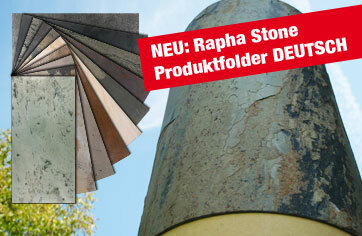 Now RAPHA Stone Product samples request! Rapha-Systems Handels - GmbH, Griesperwarth 3-4, A-3262 Wang, Austria. In a few days you will receive our samples for a cost refund of 25,- Euros!